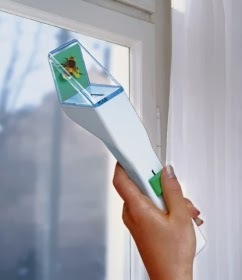 Random discovery of the day: This humane bug catcher. I think I need to purchase one of these immediately. I hate insects but I also hate killing them. I've tried the "catching them in a cup method" but that's resulted in several accidental insect deaths. I think this might be the solution.